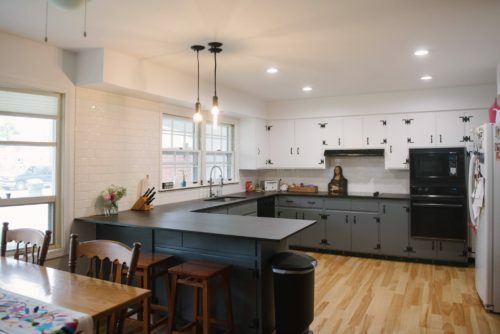 In fact, aside from removing a small partition wall, along with tearing out the countertops and backsplash, the project was really more of a “facelift” than remodel. But now that it’s completed, the one project Samantha requested all along was a set of live-edge shelves for where a cabinet once sat. I doubt I’ll do much to document their installation; it’s pretty straight-forward. Probably the most difficult part of the build will be carefully drilling through ceramic tile to install them. Of course with that said now, finding a way to mill the 12″ wide boards I’m planning to use could’ve been an even bigger struggle if it weren’t for my thickness planer sled. 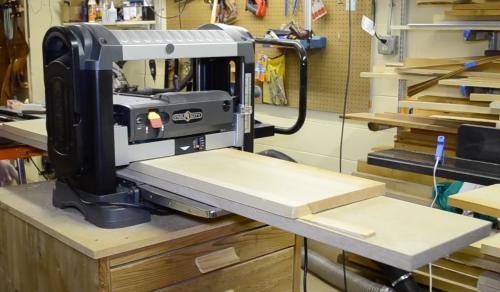 On today’s episode, we’re breaking out the thickness planer sled first featured in the Tall Dresser build and putting it to use again. First, good to see you back on air. Second, wow, what a difference that face-lift made!! Nice job. i think i would have used one shim at each end instead of two at one end, seems you would remove less wood with one at each end. I will have to make a large sled like yours. I have a small sled for thin & short pieces, but nothing to handle large stock. I see that you have a Steel City Planer that is the same as mine. Too bad that they are now out of business. Do you know where you can get replacement cutter heads? Glad to see you back. 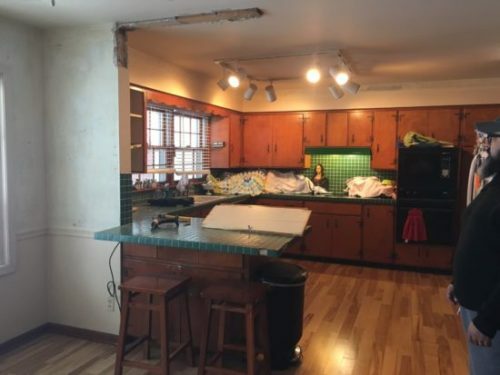 The kitchen is like night and day. Great job! « Don’t push them into the shop!